Imagine filling your ears with foam...what fun! 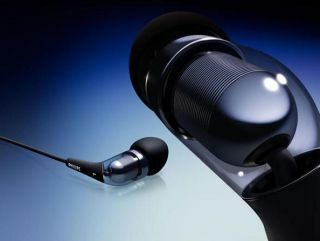 Philips likes to make headphones, which is why they continually release them. Its new SHE9850 set are designed to fill your ears with foamy goodness, thus blocking unwanted noise from leaking in. The Dutch company has been beavering away at these models, and has made them sound great even at low volume, so there’s no need for you to bash the volume so high your ears bleed and everyone else on the tube can hear you listening to Kelly Clarkson. The construction of these high-end bits of kit is designed to mould to your ear canal, with a flexible speaker tube and ear bud. Just compress the foam and wait for it to expand, and you have yourself a pair of headphones not safe for driving. Available this June, early prices suggest £85, though you’ll probably be able to get them for cheaper thanks to the wonder of the internet.